Support the CCBC by becoming a member. 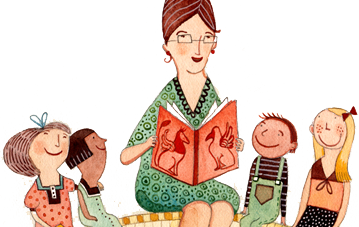 Our database of historical fiction and non-fiction books for educators. Our database of social justice and diverse themed books for educators. YA Write! 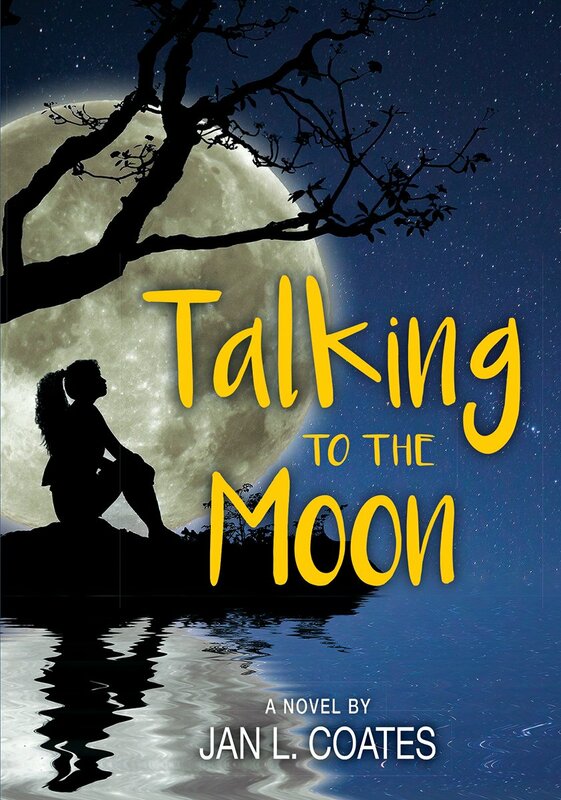 with Amy Mathers features interviews with Canadian YA authors. Listen now! Find and book your favourite authors, illustrators & storytellers. The CCBC's guide to the best Canadian books. World Autism Awareness Day is an internationally recognized day to encourage the world to take measures to raise awareness about people with Autism Spectrum Disorder throughout the world. Check out our reading list for April 2 and every day of the year! maybe there will be a gentle wind that pulls us together. And then I’ll be here and you’ll be here, too. 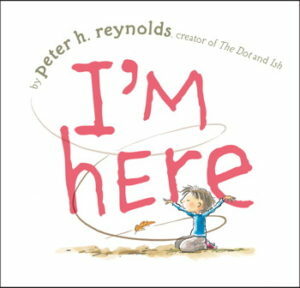 Pure, powerful and deceptively simple, bestselling author and illustrator Peter H. Reynolds reminds us that children—and the friendships they make — can take flight in unexpected ways. 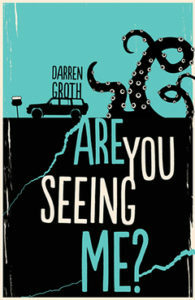 Meet Myron: a third-grader whose unique perspective from the autism spectrum makes him a top-notch sleuth. Myron doesn’t love new things and now he’s starting his first day at a new school. 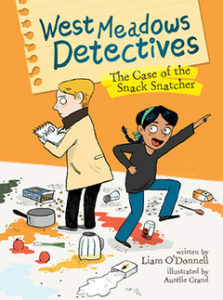 But when the school kitchen is burgled, Myron is on the case! Helping him are his classmates from Resource Room 15, whose creative problem-solving skills and unique talents come in handy! 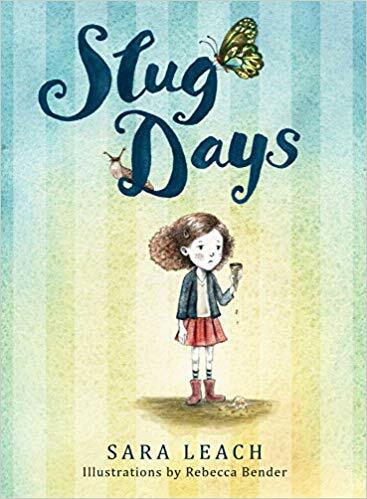 On slug days, Lauren feels slow and slimy. Everyone yells at her and she has no friends. But on butterfly days, the world is full of good things — like making classmates laugh or getting ice cream. For Lauren, who has autism spectrum disorder, school friendships have always been a challenge, until she discovers that being different makes her exactly the friend a brand-new classmate needs. Katie is a left-out foster kid who knows next to nothing about her family tree. She doesn’t like change, she’s a little confused, a little disconnected, but she’s determined to find her real mother. Set in the historic town of Lunenburg, Nova Scotia, Talking to the Moon is a stirring story about family, history and identity. New friends provide clues to Katie’s past – including some remarkable letters from one of the original settlers, a girl her age who was uprooted, forced to transplant herself, more than 260 years ago. No longer left out because she’s on the autism spectrum, Katie gradually begins to get a sense of belonging, and just maybe, a sense of who she really is. Fifteen-year-old Harrison recites the name of every bone in the skeletal system whenever he gets anxious ― and that happens a lot. He doesn’t understand most people, and they certainly don’t understand him. Anna is a high-achieving senior, bolstering her med school applications by joining the Best Buddies club at school. 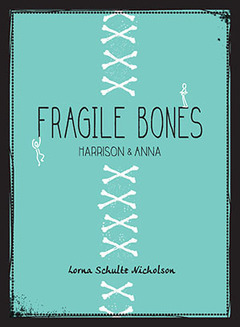 This is the story of Harrison and Anna, and how their lives intertwine in unexpected ways. Growing up with her prima ballerina mother, 16-year-old Clara has an unhealthy obsession with healthy eating. 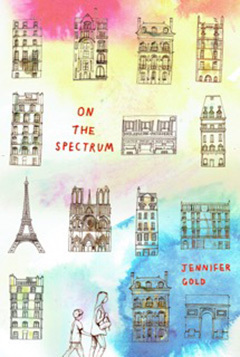 Escaping to Paris for the summer, Clara stays with her estranged dad and her six-year-old brother, Alastair, who is on the autism spectrum. Can Paris help Clara find a better relationship with food? What about the handsome baker’s apprentice? And what will Clara and Alastair make of each other? Twins Justine and Perry have left Australia and embarked on a road trip in the Pacific Northwest. When their dad died, Justine became caregiver for her autistic brother, who has now been accepted into a group home. Before he moves in, the twins want to create the perfect memory. For Perry, the trip is a celebration; for Justine, it’s an opportunity to learn how to let go. 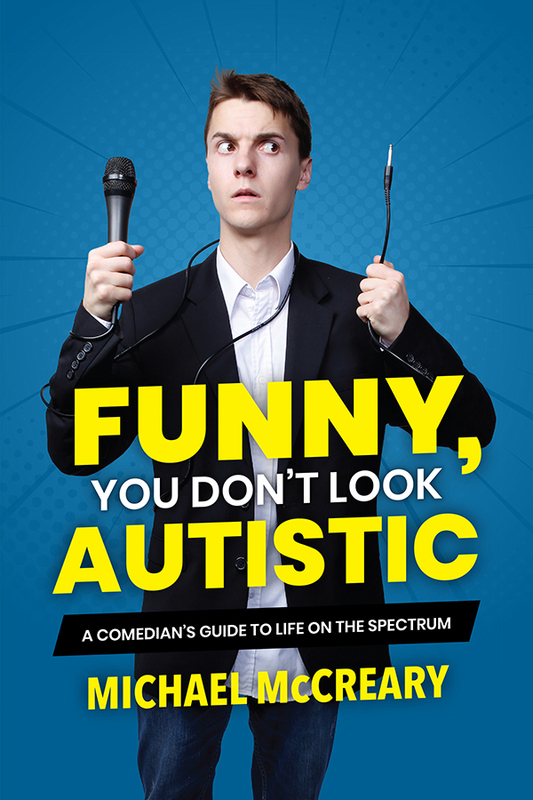 Like many others on the autism spectrum, 20-something stand-up comic Michael McCreary has been told by more than a few well-meaning folks that he doesn’t “look” autistic. 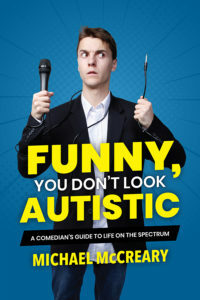 But, as he’s quick to point out in this memoir, autism “looks” different for just about everyone with Autism Spectrum Disorder (ASD). Diagnosed with ASD at age five, McCreary got hit with the performance bug not much later. During a difficult time in junior high, he started journaling, eventually turning his pain into something empowering — and funny. He scored his first stand-up gig at age 14, and hasn’t looked back. 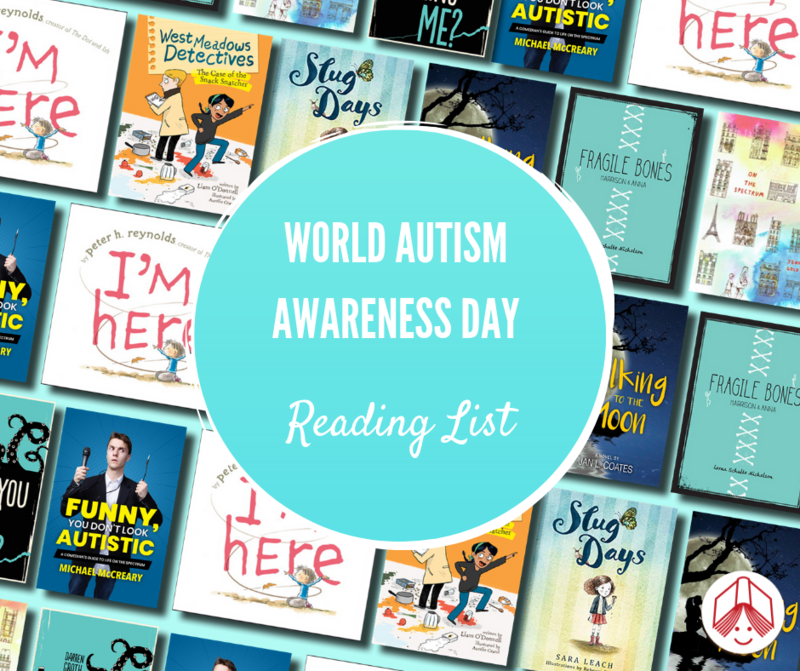 This unique and hilarious #OwnVoices memoir breaks down what it’s like to live with autism for readers on and off the spectrum. Candid scenes from McCreary’s life are broken up with funny visuals and factual asides. Funny, You Don’t Look Autistic is an invaluable and compelling read for young readers with ASD looking for voices to relate to, as well as for readers hoping to broaden their understanding of ASD. Suite 217, 40 Orchard View Blvd.